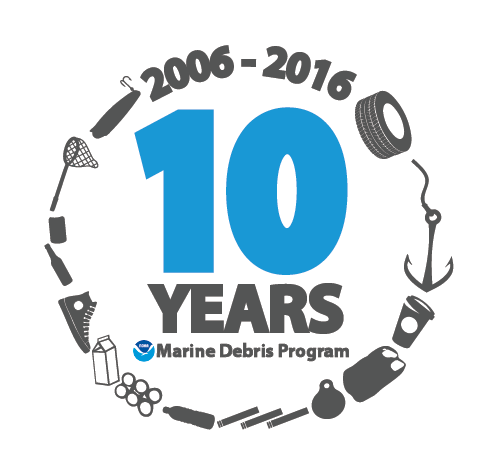 This year marks the 10-year anniversary of the NOAA Marine Debris Program! 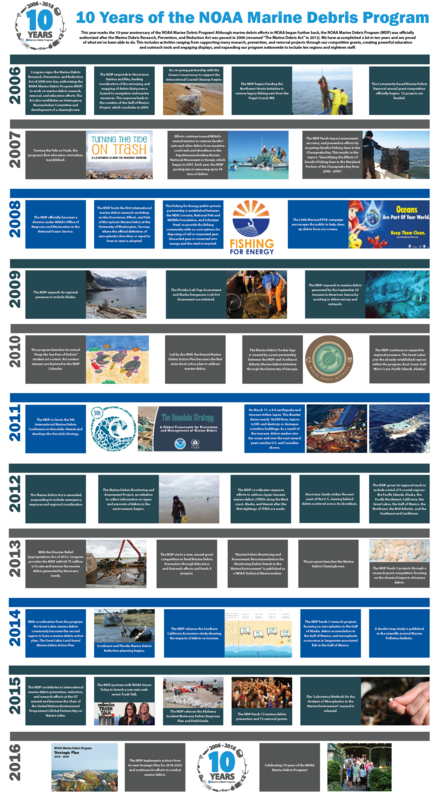 Although marine debris efforts in NOAA began further back (see this blog post), the NOAA Marine Debris Program was officially authorized after the Marine Debris Research, Prevention, and Reduction Act was passed in 2006 (renamed “The Marine Debris Act” in 2012). We have accomplished a lot in ten years and are proud of what we’ve been able to do. This includes activities ranging from supporting many marine debris research, prevention, and removal projects through our competitive grants, creating powerful education and outreach tools and engaging displays to help raise awareness about and prevent more marine debris, and expanding our program nationwide to include ten regions and nineteen staff. Take a look at some of our blog posts from throughout the year, as we've look back on the beginnings of our program and read the Director of the Marine Debris Program's thoughts on this milestone and our future. We are looking forward to the next ten years and are excited to continue to make a difference in this important issue.